WASHINGTON — As the Pentagon finalizes its fiscal 2020 planning, the department is not expecting to see its budget top line grow, according to a top official. “If you look at ’18 and ’19 — two nice step-ups, in terms of funding. And the intent is there’s not going to be another big step up again,” Robert Hood, assistant secretary of defense for legislative affairs, told Military Times during a recent interview. Instead, the Pentagon has to focus on finding savings to help fund necessary requirements, including increasing funds for high-tech efforts such as hypersonic weapons. “We understand that Congress really took some political risk in some cases to take care of the department this way. And we are going to do everything we can to live up to our side of the obligation to spend it wisely,” he said. “I think the hope is we will find some efficiencies and savings in things, in significant amounts of dollars, that we can then reinvest into, be it hypersonics or whatever it might be that needs the dollars. That’s sort of our focus in trying to get us through the out years." 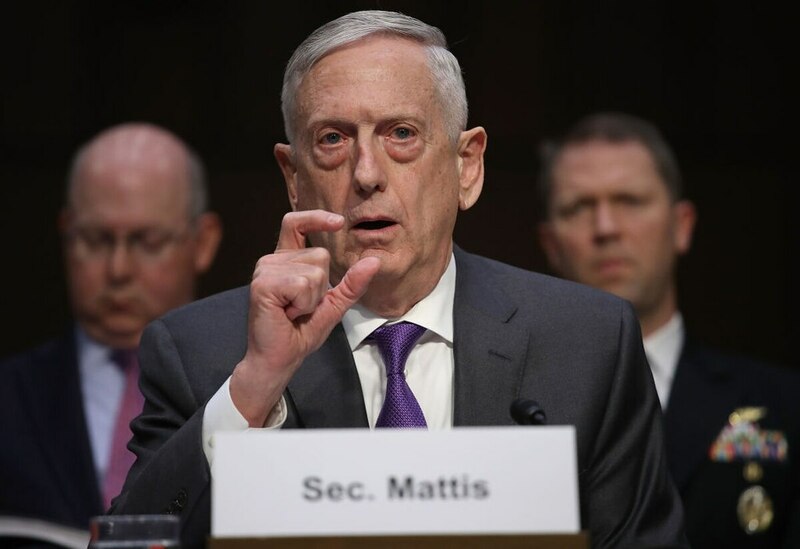 The 2020 budget will be “very important” for the Pentagon, Hood said, because it is the first budget that will firmly come after the publication of the National Defense Strategy. “ ’19 was certainly very much influenced by it, but this is going to now truly be all-encompassing. So we think the ’20 budget request is going to be incredibly important,” he said, adding that the deadline is a few days away for the services to figure out what they didn’t get in 2019 and try to fill those gaps. “What we tell the departments, if their idea didn’t get through, to resubmit. That process has already begun, so even though we were still debating this bill, we’d already begun the process of collecting ideas for legislative proposals,” Hood said. The Pentagon’s preparations for the fiscal 2020 budget come as Congress still has substantial work ahead on finishing the fiscal 2019 defense spending process. Last spring, chamber leaders and the White House agreed on $717 billion in military funding for fiscal 2019 as part of a two-year spending plan for all defense and nondefense federal programs. On Wednesday, lawmakers finalized the annual defense authorization bill, setting broad policy provisions at that funding level for the upcoming budget year. But the fiscal 2019 appropriations bill — which actually provides money for those plans — is still stalled in Congress. House lawmakers passed their version earlier this year, and Senate Majority Leader Mitch McConnell, R-Ky., has said he is hopeful his chamber can follow suit later this month, setting up final negotiations on the topic in September. While that timeline puts the Capitol Hill work well ahead of recent years’ pace, it still leaves lawmakers less than a month of legislative session time between now and start of the new fiscal year on Oct. 1. Hood acknowledged there is uncertainty about what support for defense spending looks like come November, with the potential for Democrats to claim one or both chambers of Congress.